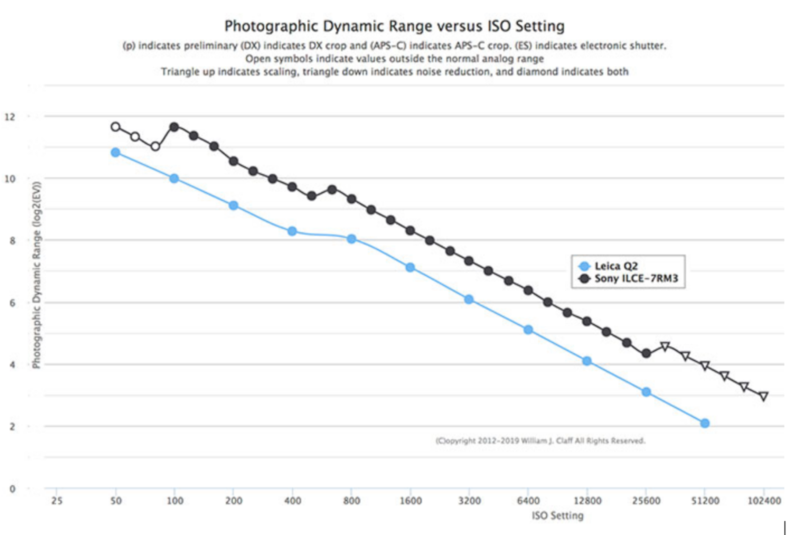 Photonstophotos tested the Dynamic Range and noise performance of the new Leica Q2. this is interesting ebcause it’s likely the new Leica uses the same Panasonic S1R sensor. And as you can see from the graph on top the Leica Q2 sensor can’t quite match the Sony A7rIII sensor performance. Still, we don’t know yet if the Panasonic S1R might be able to score a better result..